A visually stunning hole, this hole will catch many out as the tree lined fairway slopes dramatically left to right. 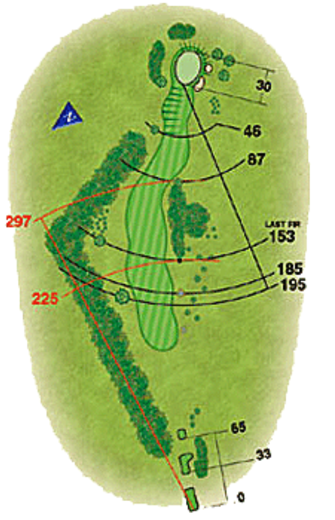 Tee shot down the left of the fairway is crucial. The green can catch many out as it slopes subtly left to right making putts from the left side of the green much quicker than they look.